See What I Have Done is based on a real life double murder. In 1892 Andrew and Abby Borden were killed in their own home in Massachusetts. Andrew’s daughter Lizzie was tried for the crime and acquitted. I know this as I became so fascinated once I’d started reading this book that I had to find out more, because somehow this piece of history had passed me by. This in no way took away anything from my reading of this dark and beautifully written tale, which vividly imagines life surrounding 92 Second Street and the inhabitants of that place during the time leading up to the fateful day, and in the days to come. At the end of the book there is a timeline of events, which I found interesting, and also excerpts from the wills of both Emma and Lizzie, which I thought was a good little insight. The story unfolds from a variety of viewpoints including that of Lizzie herself, her older sister Emma, the maid Bridget, and Benjamin, a man with a dark past who is enlisted by Lizzie and Emma’s uncle John in some ill-meaning scheme. I love the different viewpoints, the way they shift back and forth between the time just prior to the murders and days or years later. It really makes you think, especially at the crucial moment, ‘now where was this person? Could that person have seen something? Was it Lizzie? Was it someone else entirely?’ Certain things are undisputed, Lizzie’s father and stepmother were murdered. Everything else, well, that’s a real guessing game, and it makes for fascinating reading. 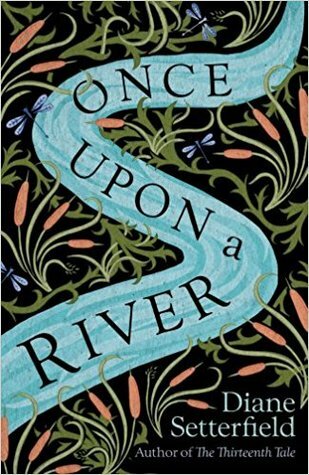 All the characters are so alive, (at least until they’re not, in some cases) and you get a real sense of them, especially the three girls, Lizzie, Emma, and Bridget, the Irish maid who reluctantly stays on with the Bordens even as she dreams of escape and home. Lizzie herself is a wonderfully dark and childlike character by turn. The way she clinically observes her father in the opening pages, and marvels at the lack of steadiness of the crime scene photographer, musing that she herself could take a perfect set of photos of the murder scene, is pretty startling. She’s quite frightening in those moments, and it’s not impossible to imagine that she could of course have done it, but then she’s so innocent and childlike in other moments that you end up wondering whether this woman could possibly have committed these crimes. Mean and spiteful, then caring and innocent, Schmidt’s Lizzie is truly an enigma, which adds to the mystery all the more. The tale is atmospheric and claustrophobic, with the constant tick tick of the mantelpiece clock, the ominous cracking sounds of the house, the heat that makes Bridget sweat so uncomfortably, and the way these people seem closed in and under each other’s feet despite it being apparent that they don’t always get on. Some of the exchanges between Lizzie and her father, or Lizzie and her stepmother, and the spitefulness there makes this apparent. There’s a sense that they’re all trapped, including Emma, even though she isn’t actually present at the beginning of the novel, having found the opportunity to visit a friend and have a much-needed break from everyday life. Emma is devoted to Lizzie, having taken to protecting her after their mother died when they were young. And even there, there’s tension between the two sisters, which builds towards the conclusion of the novel, as Emma repeatedly wonders exactly what Lizzie saw on that day. The imagery is fantastic, something innocuous suddenly becomes ugly or stomach churning – the texture or smell of meat and reheated mutton broth (urgh! No wonder everyone is being sick), the pigeons that Lizzie keeps as pets, the locked doors, the smells pervading the house and the constant presence of pears from the arbour. It isn’t only the murder scene, it’s the everyday that comes across as somehow awful too. There’s a real sense of wrongness, even before the murders are discovered. There are shocks along the way, and you may think the story is going one way only for it to go somewhere else entirely. I can’t say more on that because it would be getting close to spoilers, which wouldn’t be fair. So, I’ll end by saying See What I Have Done was by turn unsettling and fascinating, and the writing really brings the tale to life. Definitely one to read. I’m desperate to read this one! Sounds like an excellently told Gothic tale. Counting the days until it comes to the US.